Schedule a call to take Your Brand to the next level. 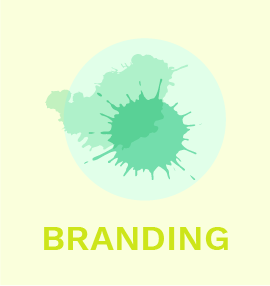 Branding is an extremely important part of running a business. There’s no dispute about that. Without branding you run the risk of confusing or being confused yourself about your messaging, your design and your overall image. 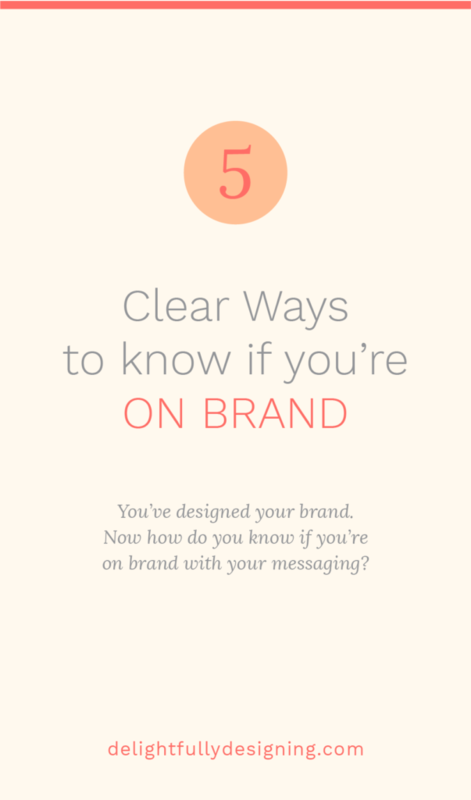 But once you’ve developed your brand, how do you know if you’re staying on brand? Before we get started, let’s clear something up. There’s no formula that will tell you whether you’re staying on brand or not. Ok, now that we have that disclaimer out of the way, here’s some good news. While there isn’t a formula there are a few key signs that can help you determine if you’re staying on brand. Let’s briefly touch upon what branding is before we dive into learning about these key signs. If you’d like to go more in-depth about what branding is and how to incorporate it into your business, just read this article: WHAT IS BRANDING ANYWAY? 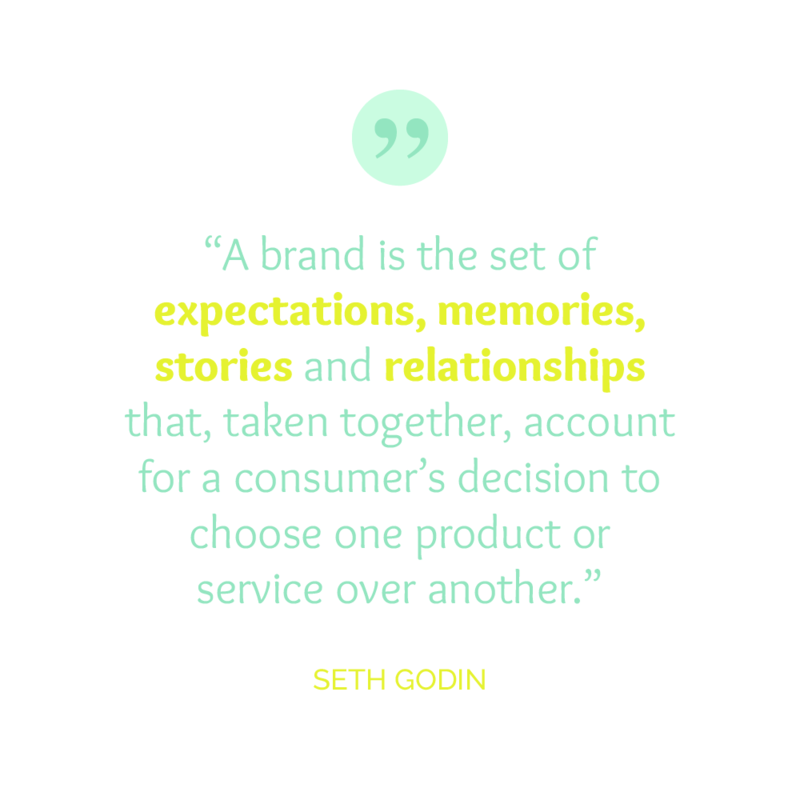 Branding is the story you tell a consumer to influence them to choose you or your brand over someone else. Tweet that! Many people think branding means a great logo, pretty colors and some nice fonts. Branding however, is much more than that. It does include an awesome logo, pretty colors and well-chosen fonts. However, it also encompasses well thought-out copy, a compelling message and the emotional connections of your audience. Because branding goes well beyond graphic design it is important to set up your brand for success. There are signs that will inform you whether your brand choices have been successful. These are great for determining whether you’re staying on brand so you can continue down that path or to determine where you have to make changes to steer your brand in the right direction. So let’s talk about a few of those signs. 1. People tell you how much they love your site. 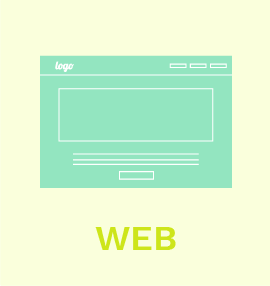 Whether it’s because you have an awesome web designer (like me!) or because you’re aces at DIY, people will notice a good website. 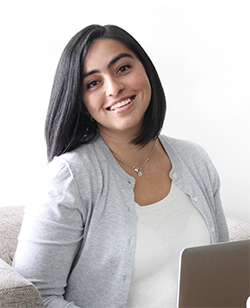 When people start to mention how much they love your site, your graphics, copy, the overall feel of your brand that is a very good sign that your branding efforts are paying off. 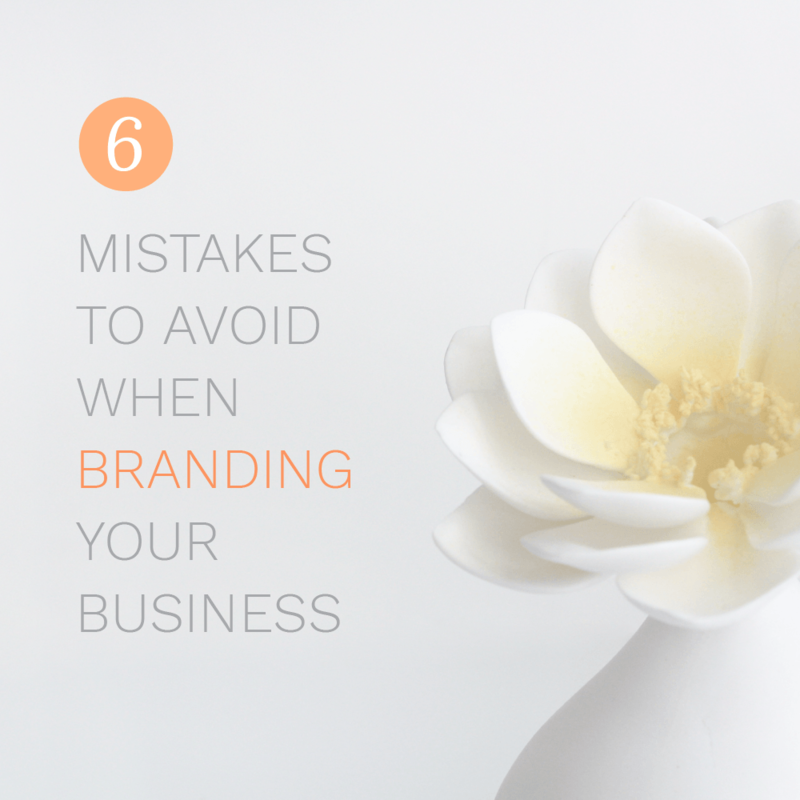 If your branding is off, it’s not likely that you’ll get any compliments at all. 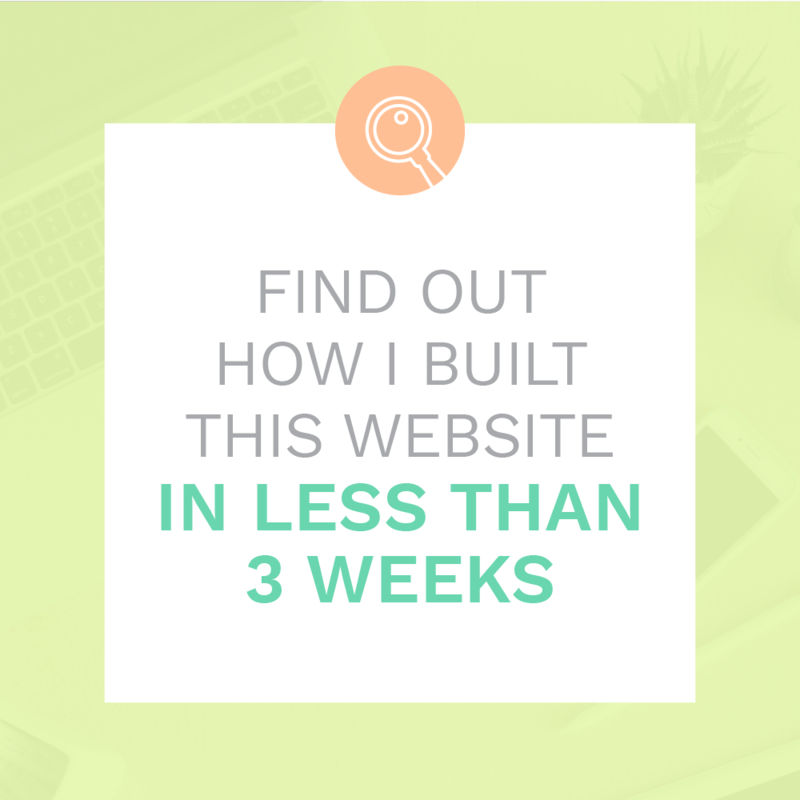 So naturally, when you do start getting compliments on your website or your instagram account or any of your branding you can breathe a sigh of relief because you’re definitely doing something right. Make sure you listen to the compliments and the things that people say you’re doing right. You’ll want to do more of this! 2. When you look at all the content you put out it looks cohesive. Sometimes it’s hard to look at all the content creation you pump out at once. However, it’s a good idea to do it. 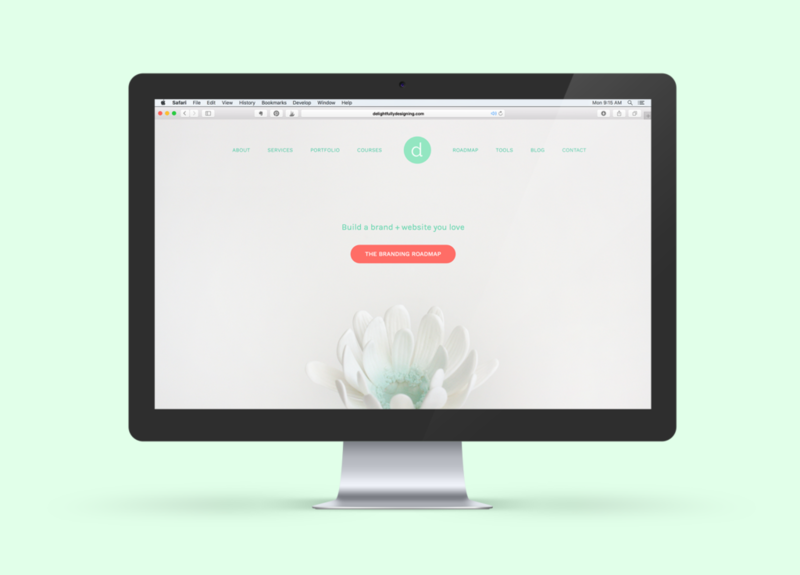 Check back on all your other content and make sure that your designs are cohesive. If you’re trying something new make sure you’re using your style guide to help keep it on brand. Make it a point to look at things like your Instagram account. This will help you see your branding as a whole and work on the design of an individual item while keeping in mind what your brand looks like when you put all these elements together. A lot of people mention treating your Instagram feed as a magazine spread, do this with your branding as well. Make sure it all works well together. It’s also a good idea to have a business board in your Pinterest account. I don’t mean a board that deals with business. I mean a board that’s that’s solely dedicated to your business. When you start to see your pins together in that board, you’ll start to see if you’re staying on brand or not. 3. When you look at your moodboard it still fits within the look of the content you’re creating. Another way to look at your brand as a whole is to keep your mood board in mind at all times. Your mood board is the easiest way to identify your brand. It should be the essence of your brand and all your content creation should jump off from this point. So if you’re taking a look at your mood board and your content still fits within it and looks like it could go alongside it, then most likely you are staying on brand. Keep referring back to it! If you haven’t made your mood board, now is a good time to do it! It will help you to keep in mind what your brand is all about. If you need help, download these mood board templates and overlay them into Photoshop or Canva, whichever you prefer and use them to layout your board. 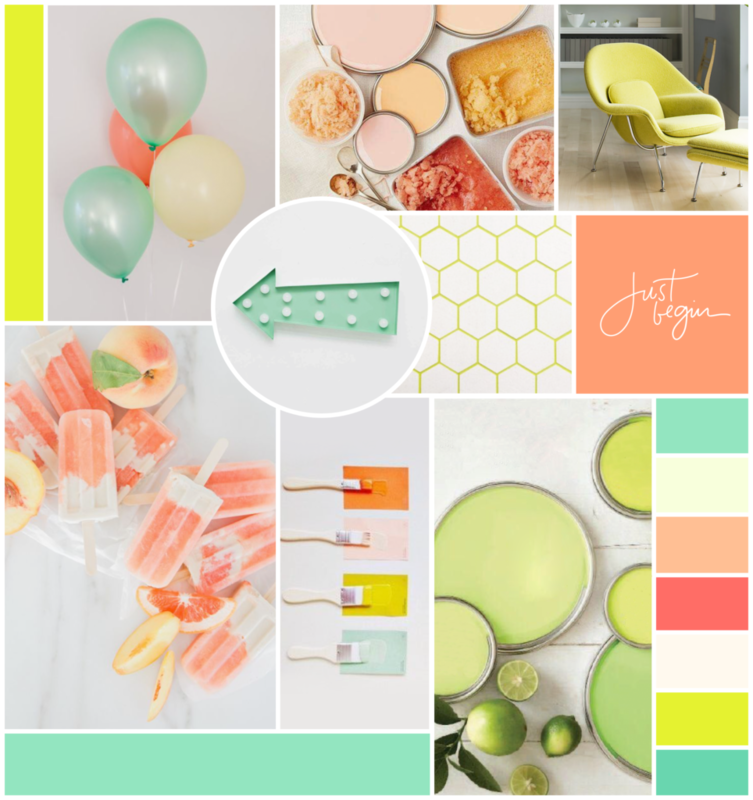 Canva has a great article about how to use their software to create mood boards, so make sure you check that out. Remember to choose images that evoke the feelings you want associated with your brand. Get lifestyle images, product images, texture images, images that describe your colors. Once you complete it, your mood board will be a great asset! Below is my mood board for Delightfully Designing. 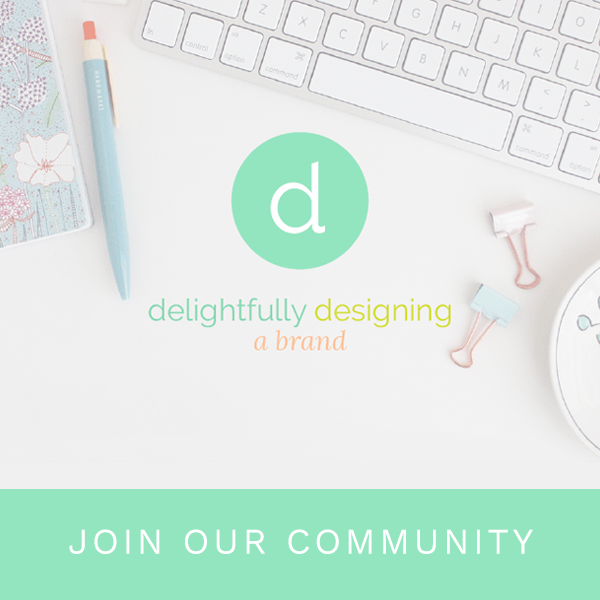 A very awesome client I have told me that my mood board makes her happy and that is EXACTLY what I want Delightfully Designing to do: DELIGHT. 4. Your audience can describe your brand in three easy words. Another trickier your way of determining whether you’re staying on brand or not is to reach out to your audience. Ask them to describe your brand. Are the words they’re using the same as the words you’ve used to describe your brand? If they are then again, you’re doing an awesome job at staying on brand! You’re so good at this! Don’t expect them to use the exact words you use to describe your brand. Words that have the same general feeling are great! This is even a great opportunity to find new words to describe your brand and new ways of portraying it. For example, my brand has been described as bright, happy and uplifting. The words I’ve used to describe it are delightful and pleasant. While they are different words, they are communicating the same general feeling, so my branding has been successful so far. 5. What your audience feels when they interact with your brand is exactly what you intended. This key sign will incorporate a lot of the stuff we talked about above. 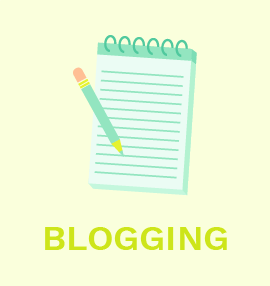 There will be times when you get comments through your blog or instagram or even in a direct email. These wonderful people will tell you how they felt about an article or a graphic or sometimes just a feeling they get when they interact with your brand. If these comments end up really resonating with your brand, again CONGRATULATIONS! You’re doing a fantastic job at staying on brand and being of service. Make sure that you take note of these instances and try to do more of what you’re doing to stay on this path of success. If you haven’t gotten clear on your brand just yet, make sure to check out The Branding Roadmap, which maps out clear steps to take to brand your business. These are only a few key signs of a successful brand. When you spend time on your branding and you do it successfully, you’re going to see that your audience will respond better to you and your message. You’ll also start to see that you will become an authority on your subject and will quickly become one of the go-to people in your field. Look at you! People will start to reach out to you asking to be featured in your blog or to feature you on theirs. You’ll start to receive requests for collaborations and you’ll generally start to see how much people appreciate the work that you’re doing. Keep up the good work! 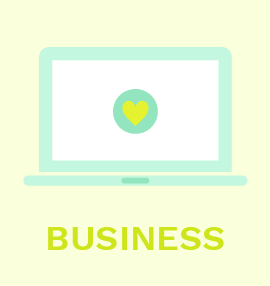 A growing page of resources that will help you define and grow your business! I'm a Brand Story Artist! Together, we'll find YOUR story + make it the center of your brand! Because everyone loves a good story! How many Fonts should you use in Branding? Imagine a library full of freebies so good, you thought you died and went to heaven! That’s what you’ll get my friend, trust me, it’s SO GOOD! All content © Copyright 2016-, Delightfully Designing.